Albert Engelsman is the chairman of the Supervisory Board. In addition to general areas of expertise such as strategy, finance and assets, insurances and reinsurances, compliance and Solvency II, risk management and commerce, he has special focus areas as a supervisory board member: legal matters and auditing. Albert Engelsman has been employed at Koninklijke Wagenborg B.V. for over 35 years. 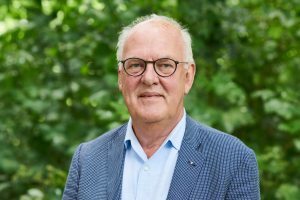 The last 30 years until his retirement in 2010 he was employed as the Group’s in-house lawyer and also as managing director of Wagenborg Shipping B.V.